Pretty in pink, rosé wines are far more diverse than you may suspect. While it's often associated with the sweetness of an inexpensive White Zinfandel, there is so much more to discover! From sparkling bubbles to dry French Provençal rosés, this style of wine is no one-trick-pony. Rosé is an exciting category in wine today. It's made all over the world and from all varietals of grapes; though they're different, strawberries are a common flavor and all are excellent for food pairings. When you're ready to dive into the world of rosé, there are a few bottles that you'll want to have chilled and ready to drink. 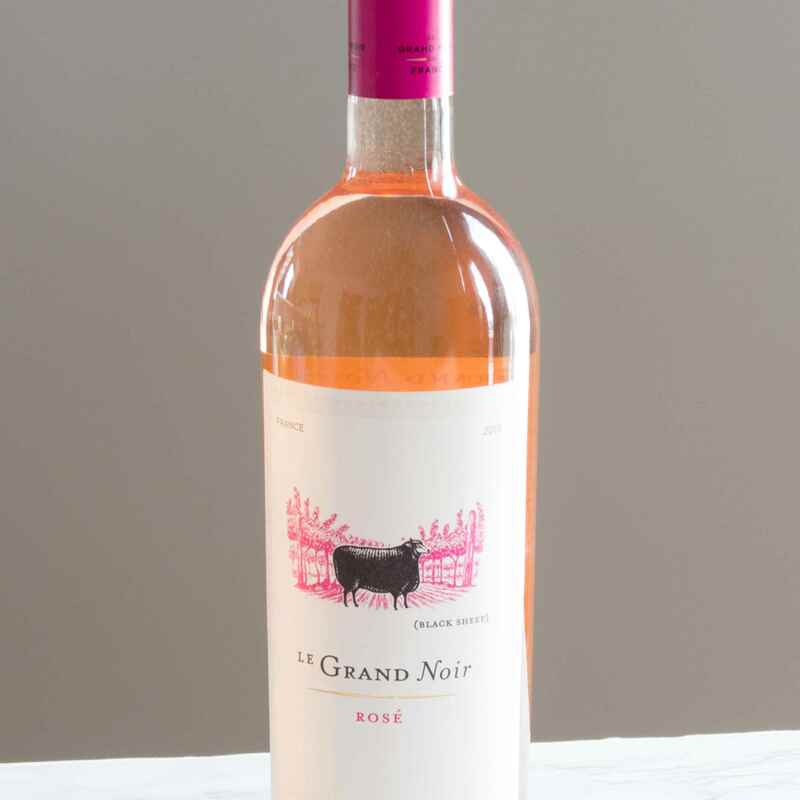 Le Grand Noir Rosé is a beautiful and affordable introduction to rosé. Made primarily of Chardonnay grapes, it comes from Minervois in southern France, a region better-known for its red wines. This wine is sweet but not too sweet. It has notes of mango, ginger, and strawberries. You'll enjoy this crisp wine's $11 price tag, as well as its ability to set any summer dinner off in style. Pair it with grilled salmon or a fresh summer salad. Rosé is king in France's Côtes de Provence region; some estimates put it at 90 percent of the A.O.C. 's production. It is where you will find the lightest pink color as well as the driest rosés. A fabulous bottle to try is Chateau Miraval Côtes de Provence Rose, which sells for a worthy price of $30. While it is dry, it remains refreshing and elegant, offering lovely fruit and floral flavors and a clean finish that will turn anyone to the bright side of rosé. Bring it to your spring table, serving it alongside a spring chicken and delicious fruit tart. Rosé of Pinot Noir is one of Sonoma-Cutrer's latest creations. Made entirely from Pinot Noir grapes grown in California's Russian River Valley, each vintage of this limited edition rosé is as fascinating as the first. This is a New World rosé based on the traditions of the Côtes de Provence. The $25 wine is just as lovely, offering elegance with its crisp, fresh acidity and juicy hints of cherry, rhubarb, and strawberry. Enjoy it with an asparagus and mushroom quiche or goat cheese toasts. This charming bottle is from Washington State's Columbia Valley. It was inspired by the French Bandol region's rosés which often feature the tannic Mourvèdre. Blushing Bear pairs that red grape with Grenache and Cinsault for an interesting blend. The pale color of this $30 wine is barely pink, and the flavor is light and beautifully crisp. It's the bottle you'll want to reserve for summer soirees that feature seafood and fresh produce. Or, combine the two in a summer seafood pasta. When your taste leans toward the dry side, Edna Valley Vineyard Rosé is an excellent choice. This California rosé is one that fans of Pinot Grigio will appreciate. The winery specializes in Chardonnay, though the rosé is produced with four red wine varietals, so it bridges the gap wonderfully. Crisp and clean, this $18 rosé has raspberry and strawberry flavors accented with delicate spice. It's one of the most versatile for parties and food pairings, making a lovely companion for sushi rolls, steamed mussels, and so much more. Spain is also a bastion for rosé wines and Flor de Muga Rosé is a fine catch for any wine-lover. From the esteemed La Rioja Alta region, the vintners keep traditional practices alive to create a beautiful $20 rosé. Made entirely of Garnacha (Grenache) grapes, the aroma of red fruit draws you in and continues through each long sip. Follow the winery's suggestions and pair with ceviche or a Spanish rice dish, and you won't be disappointed. When you're looking for a sweet, budget-friendly rosé, turn to Castello del Poggio Sweet Rosé. It comes from an Italian winery that specializes in sweet wines, including some nice Moscatos, so you know they do it right! This $13 rosé is sweet, but it's also delicately approachable, offering an array of fruits like white peach and pomegranate. It's nice with any summer cuisine, and is ideal for wine cocktails. Try it in a rosé berry bliss and your party will instantly brighten up. Italian sparkling wines are spectacular, rivaling French Champagne. The Tuscan vintners at Rosatello are also sweet wine specialists, and it's easy to instantly fall in love with their Sparkling Rosé. Inside this $13 bottle is everything that makes rosé attractive: the taste of sweet berries with a light, refreshing body. Add in the fizz factor, and you have a wonderful drink for the hottest of summer nights. Try it with an adventurous cheese plate, and your evening is complete. A surprising find from South Africa, this one follows the style of dry brut Champagnes. Villiera Tradition Rosé Brut is made from a blend of Pinot Noir, Chardonnay, Pinotage, and Pinot Meunier grapes, and will age well for up to three years. At $20, it's the perfect rosé to keep in stock for special occasions. The vivacious pink color and lively bubbles will draw you in. The wine is both rich and dry, striking a perfect balance that is a credit to its many awards. You'll find it an absolute delight with veal piccata or vegetarian pizza. Don't knock canned wines until you've tried the newest crop available, especially if it has the name Underwood on the can! 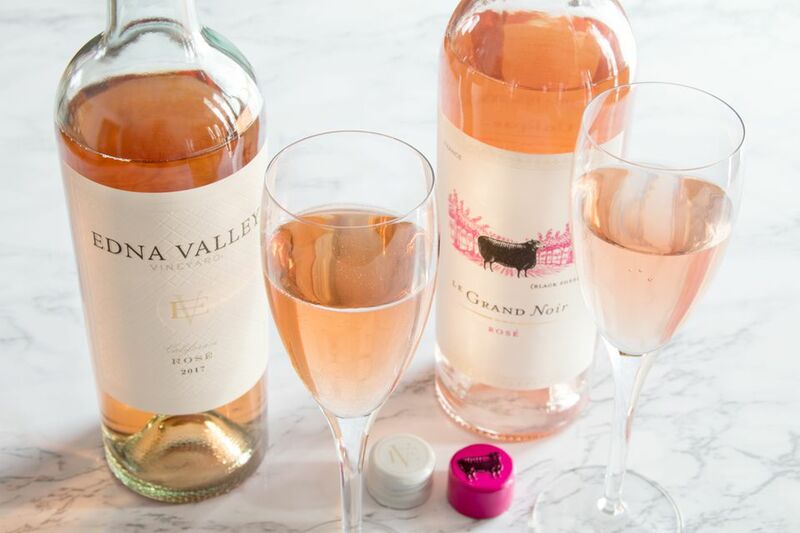 They do this wine trend justice, and when it comes to summer sipping on the go, you will be hard-pressed to beat their Rosé Bubbles. No matter where your adventures take you, this rosé can keep you enjoying life with a glass (er, can) of bubbly. It's light, refreshing, and has a beautiful fruit bouquet that's perfect with any barbecue foods. A four-pack sells for $28; just remember that each can is half a bottle of wine, so drink it slowly.